Of all the liberal arts, music has emerged as a preeminent form of communication; its importance goes back to the dawn of time. Every human being has a voice capable of humming a simple melody, and it seems we all have an innate inclination to move to the rhythm of music. The art form of music continues daily to connect disparate cultures, as it has throughout recorded history. Music is one of the most emotional art forms; yet, it is also mathematical within its form, notation, and progression. Music can also be related to visual art through its measurement and dimension, lending emotion and meaning to dance, film, and theatre like nothing else can. Music is scientific in its study of the nature of sound. It shares goals of understanding with language arts in its structure of phrases, syllabification, meter, and rhythm. Music is also technology, bringing inspiration and breakthroughs in professional production and recording. Moreover, music is now widely professed and accepted by medicine to be of therapeutic value for those who are healing. For a person like Jobs, who undoubtedly had tremendous influence over the modern technological world, to make such a statement is a testament to the importance of maintaining strong arts and humanities education in our schools. Unfortunately, public education’s curricular leanings of late are heavily predisposed toward science, technology, engineering, and mathematics (STEM) fields, with less and less emphasis placed on arts programs, which are already struggling to survive massive budgetary restraints. To this end, Fuller and the others at Sinfonia have played a preeminent, decisive, and leading role in the development of early education arts and music programs for local children—all at no cost to the children, parents, school system, or individual taxpayer. 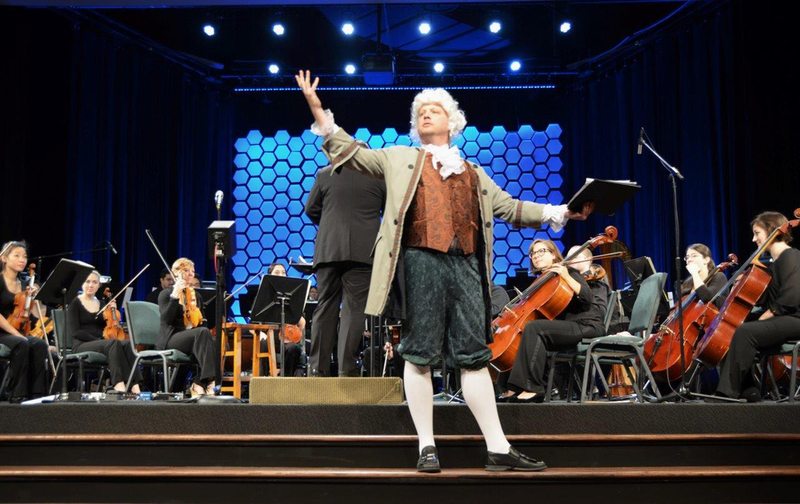 Sinfonia is passionately committed to bringing arts opportunities to young students who would otherwise be without this core educational element. 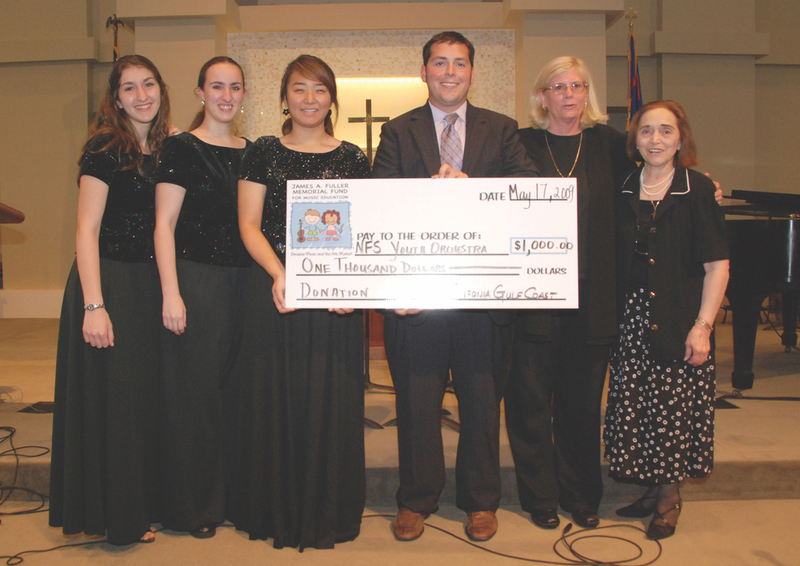 The orchestra’s music education initiatives are many and varied, including its Sinfonia Youth Orchestra program, its Musicians in the Schools workshop series, free student attendance at Sinfonia concerts, collaboration with Sacred Heart Hospital’s Arts in Medicine program, and a partnership with Carnegie Hall’s Link Up project. The Link Up program is focused on introducing children to the musical fine arts within their communities through classroom study and collaborative performance with professional musicians in a performance hall setting. 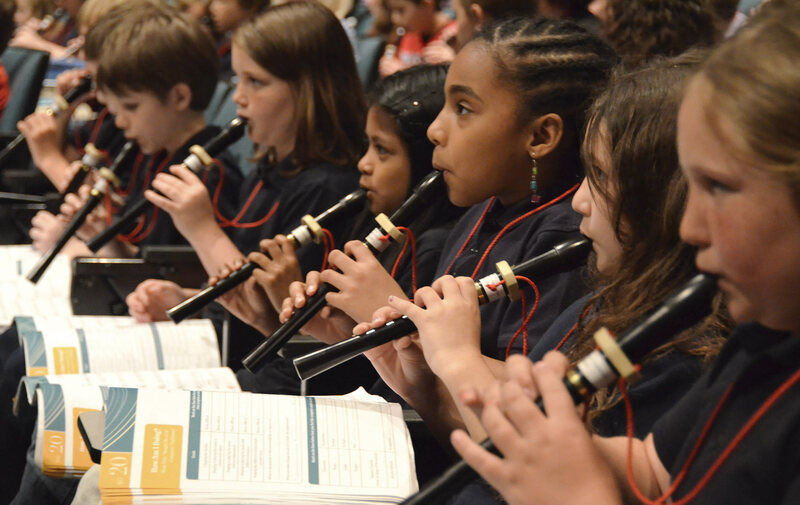 Carnegie Hall’s Link Up program provides curricula throughout the year for partner orchestras around the world to use in their education initiatives within schools in their areas. 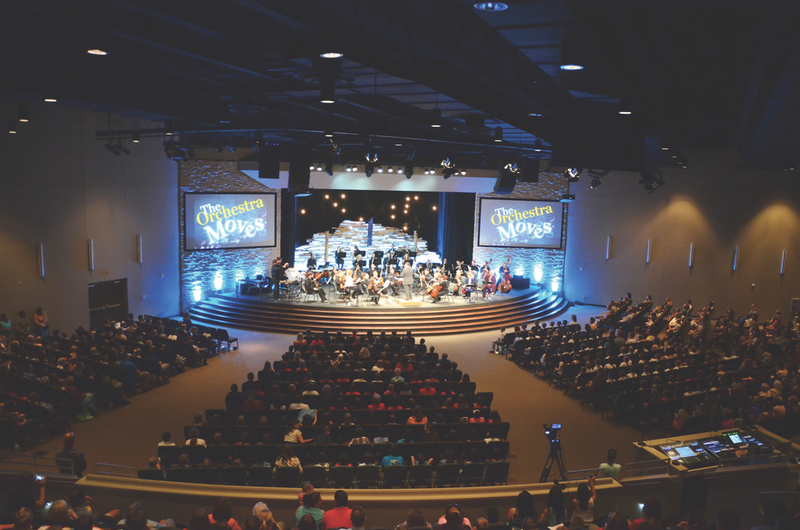 Partner orchestras are given program materials—including teacher guides, student materials, concert scripts, and concert visuals—that they can utilize in Link Up educational programs in their own communities. The arts are not an extracurricular activity. The arts are a part of the human psyche, and they should be instilled and taught as part of the daily curriculum at schools, 100 percent. The program is for third through fifth graders, which is critical timing for this level of education to instill the arts into their curriculum. 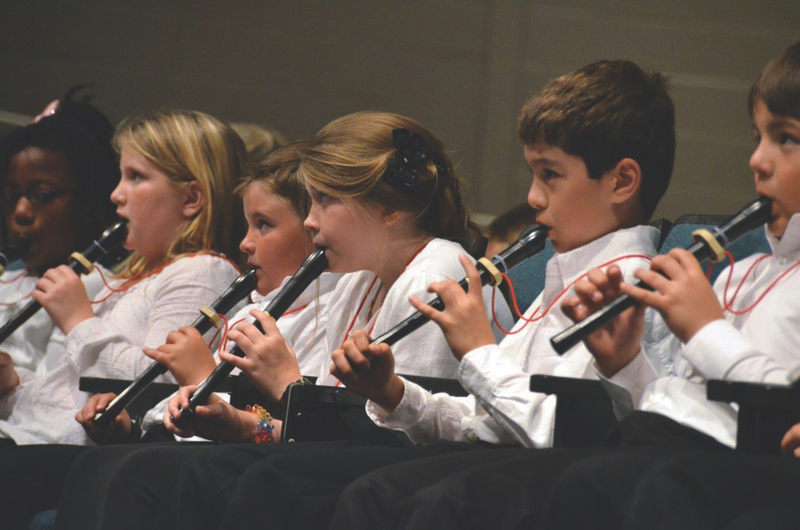 It gives students nine months of a very structured music program. The Link Up program materials may be provided by Carnegie Hall at no cost, but the scope of Sinfonia’s music education ventures means they come at great financial cost, which is why Fuller is passionately and actively engaged in fund-raising year-round through events such as the Wine Women and Shoes benefit. 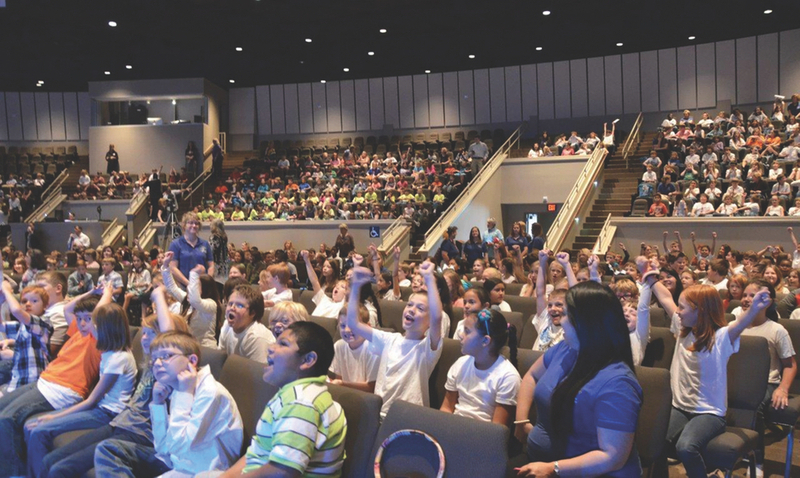 This event and others like it provide the opportunity for the Northwest Florida community to gather financial resources that will allow Sinfonia to continue to augment the educational opportunities it can offer area students by paying for the musicians, the buses and transportation, and the venue and production for the end-of-program concert the students perform. 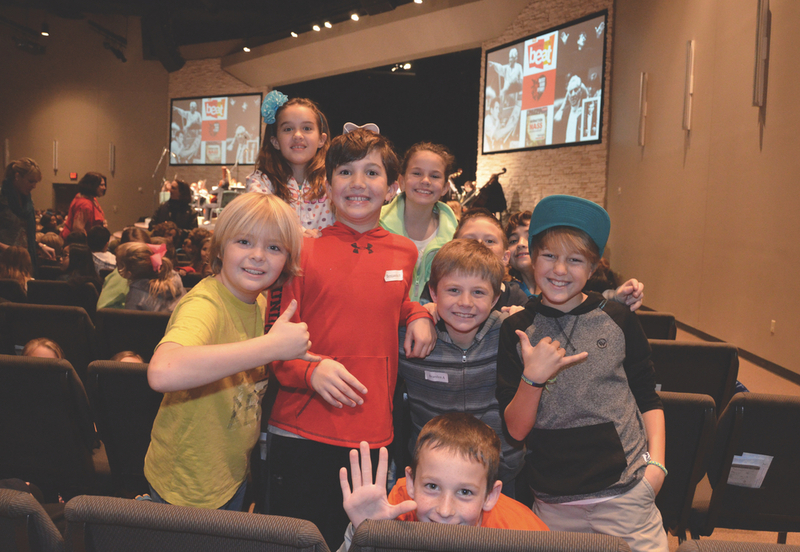 “Benefits like Wine Women and Shoes have enabled Sinfonia to increase our capacity with Link Up to where we have a little over three thousand kids participating this year versus seven hundred fifty the first year,” Fuller explains. “This is now our third year, and we have almost quintupled the membership. Just by the sheer volume of interest that these teachers are expressing in this particular opportunity, it is very telling that we need this program in our schools, and we need Sinfonia to support this and to provide this to our community. You can’t have a community grow and sustain that growth without having a well-rounded opportunity for arts education for the children. Music will undoubtedly be with the human race throughout the remainder of our time here on earth, and the need to continue to nurture our appreciation for what is arguably the noblest of the arts is apparent. It is, however, up to our local communities to maintain vigil over the place that music education holds for our youth through support of organizations like Sinfonia Gulf Coast and Carnegie Hall. The society and culture of tomorrow are dependent upon the culture of society today. 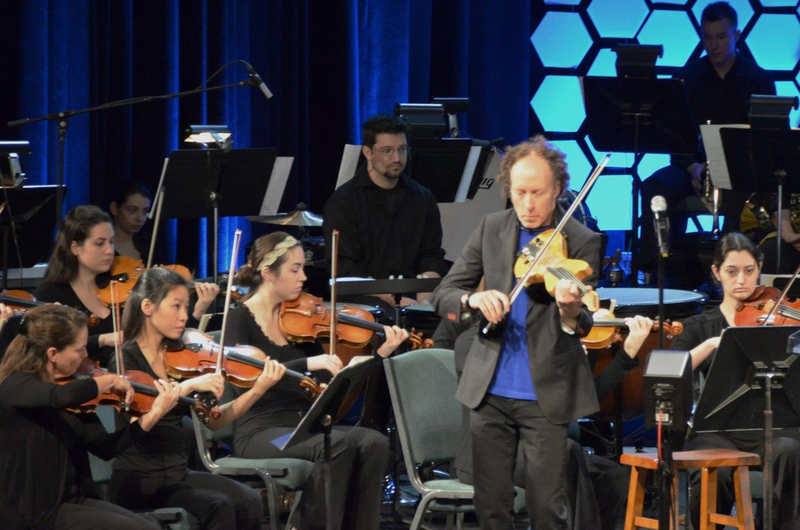 To find out more about Sinfonia Gulf Coast, its educational programs, and its benefit events, visit www.sinfoniagulfcoast.org.